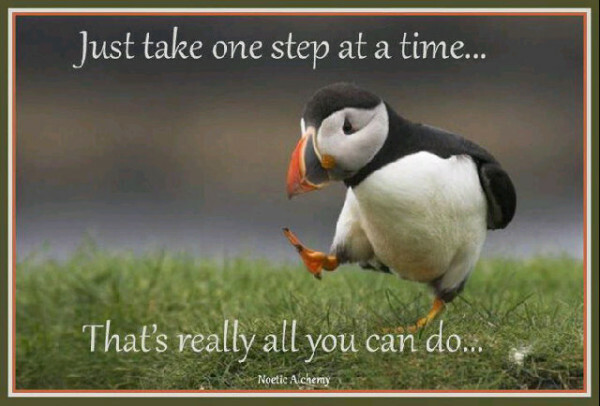 Just One Step After Another! Procrastination has often been an issue for me. Add in a real lack of self-confidence and you have a deadly combination. The personal growth that has come over time has helped a lot, but big projects such as writing my first book seem to bring my old insecurities back. All were created in my own head of course, but they still proved to be a heavy burden. When I finally finished the proofing process on my first manuscript and it was sent off to the printers, I thought I would take all that positive energy and funnel it into starting book two. I had proved to myself I could do it so it would obviously not struggle to do it again. RIGHT? Well, that's not quite the way things went down. Let's just say planning a launch and marketing a book took a lot more time and energy than I realized. It was a full six months before I was ready to think about starting on new books. Two trips to visit family occurred in the months after my January 2015 launch of Life Outside the Box:The Extraordinary Journeys of 10 Unique Individuals. They offered welcome respite from book promotion as well as time to reflect on where my journey would head over the next year. 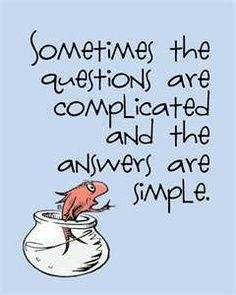 From deep in my soul, the answer came. First I felt relieved to know how clear my direction would be. Then the fear began as I thought of what the months ahead would hold. Three new books were in my future, each important on its own. I had a bit of material already collected for all three, but there were still mountains of work to do. I began to worry if I would be able to avoid the emotional pitfalls I experienced last time, but began moving forward confidently. That lasted until the first roadblocks appeared. It became difficult to find enough unscheduled time to just be home and let the process flow. While I began to say NO to more and more invites, there were many my heart lead me to attend. I experienced struggles and delays with the transcription service I found and some of the material requested through email came back needing more follow up. Peace of mind became fleeting and I could feel the anxiety start to bubble up. That was a worry. The best writing comes from a place of joy. On September 25th, I found myself at Dream Talks Vancouver wondering why I wasn't home creating that silent, unscheduled space I craved. But deep in my heart I knew I was supposed to be there. Speaker after speaker took the stage. A bit of wisdom was gleaned here and there, but not the message that I felt was I was here for. Finally my friend - author/speaker/healer Sue Dumais - took the stage. She came into my life recently with some important guidance and her book - Heart Led Living - has offered several important insights. What she chose to share this day turned out to contain the lesson I was there to hear. Her story was of being in Kenya and walking through the slums with two guides. The huts were close together and the ground between filled with raw sewage and mud. At one point she looked down and paused as she realized the only step in front of her was into sewage. A gentle voice behind her assured her all was okay - JUST ONE STEP AFTER ANOTHER! She continued on. Goosebumps! The joy of my journey is in listening to another share their story and then giving their words wings. My focus needed to turn from the end result - whether a magazine article, a blog post or a book. I only needed to be in the moment hearing one story and then sharing that one story with the world. When there are ten ready to be bound together in a new book, then my focus will turn in that direction. Simple. No deadlines, no goals, no worries. Just enjoying what I love to do. Remember, this answer is unique to my journey. Others will thrive on schedules and deadlines. Some find it more peaceful to have things clearly laid out in the beginning. Every person needs to listen to their inner voice for guidance. It is very clear now, that for me to embrace the joy of what I do, I need to be simply in each moment giving that person my undivided attention. One interview at a time - One story at a time - One step after another! For information on Life Outside the Box and where to purchase, click HERE. For more information on Sue Dumais, her book Heart Led Living or her work in Kenya, click HERE.